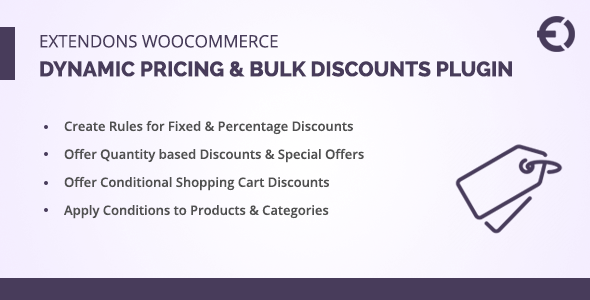 WooCommerce dynamic pricing plugin by Extendons lets you create rules and offer bulk discounts on products. You can create rules to offer quantity based discounts and also make the special offers such as buy one and get one free. Make conditions to offer discounts on various shopping cart attributes like cart subtotal, items, quantity, products and categories, and the registered customers. You can set fixed or percentage discount and also set the time period for discounts.